Last night Michael and I went out to dinner at Wild Abandon. It’s on SE Belmont. I had a Groupon coupon for the restaurant, which was a great deal. It was kind of a funky little hole in the wall–and very crowded when we arrived. Thankfully I had reservations. The waiter brought us some fresh bread and hummus. 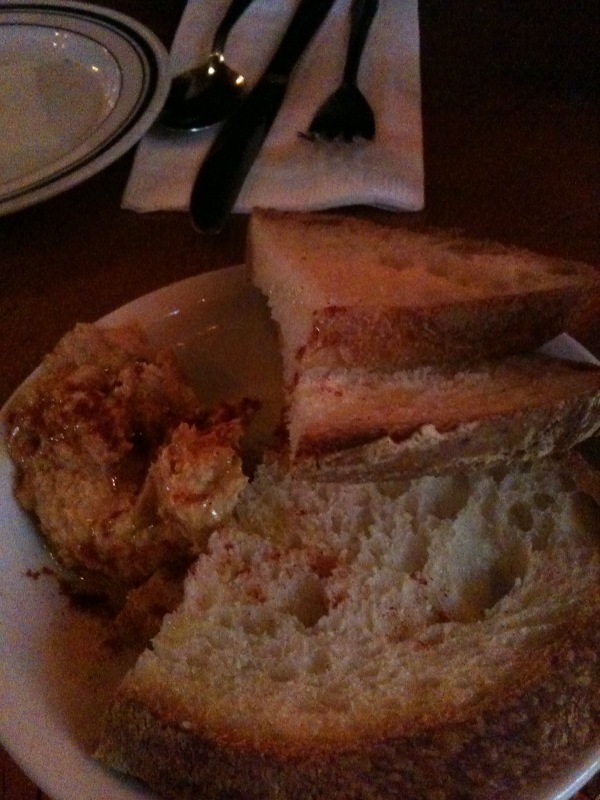 It wasn’t the best hummus I’ve ever had, but the bread was good (and we were famished). 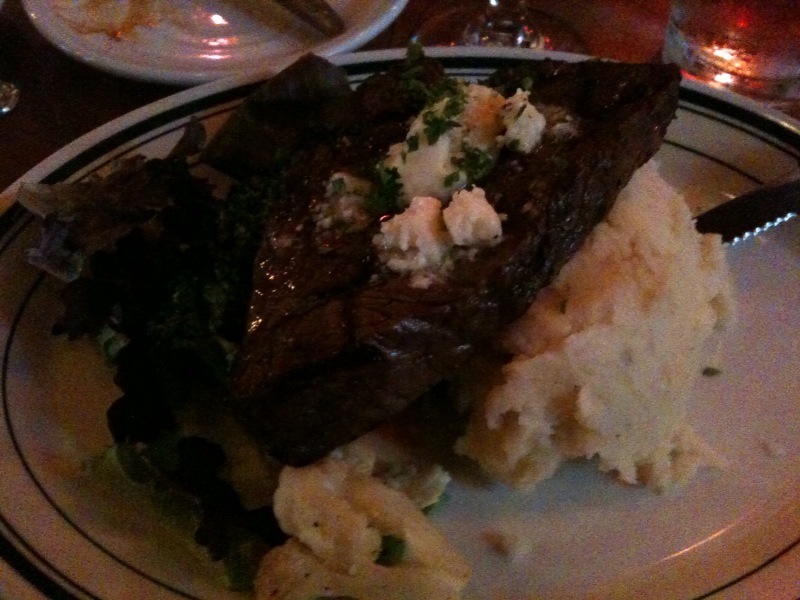 I ordered the Top Sirloin Steak with mashed potatoes and steamed veggies. It was really great! The veggies were delicious and hadn’t been drenched in butter. In fact, I don’t think the cook used any butter to cook them. I wish the pictures had turned out better. It was quite dark in the restaurant. 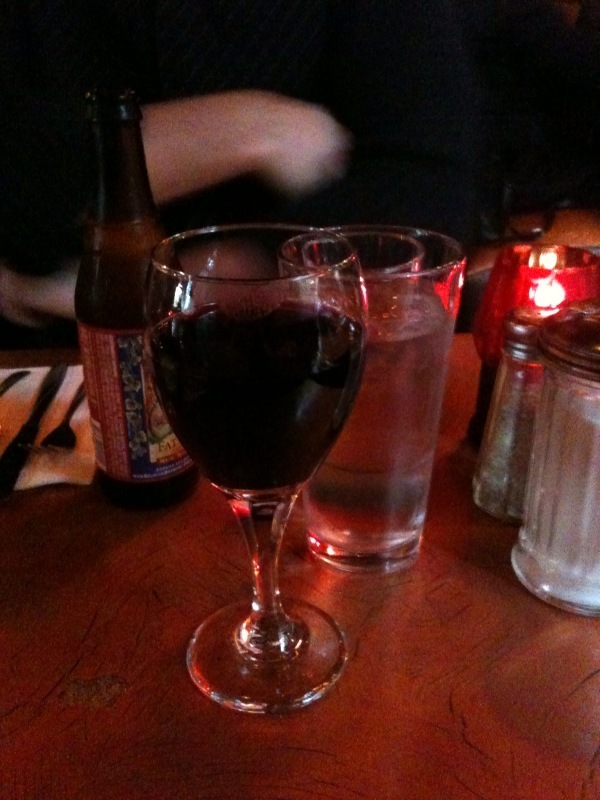 I enjoyed a glass of Pinot Noir and Michael had a Fat Tire beer. 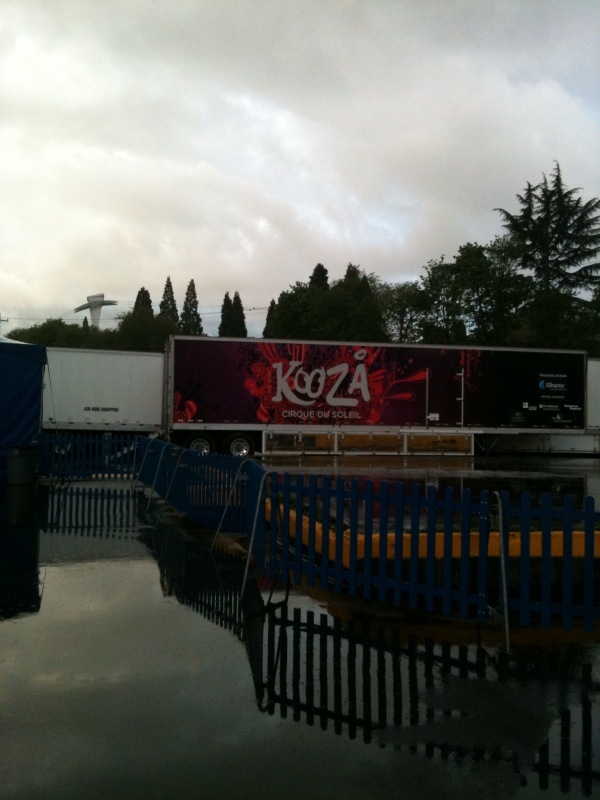 We headed back downtown to go to KOOZA! 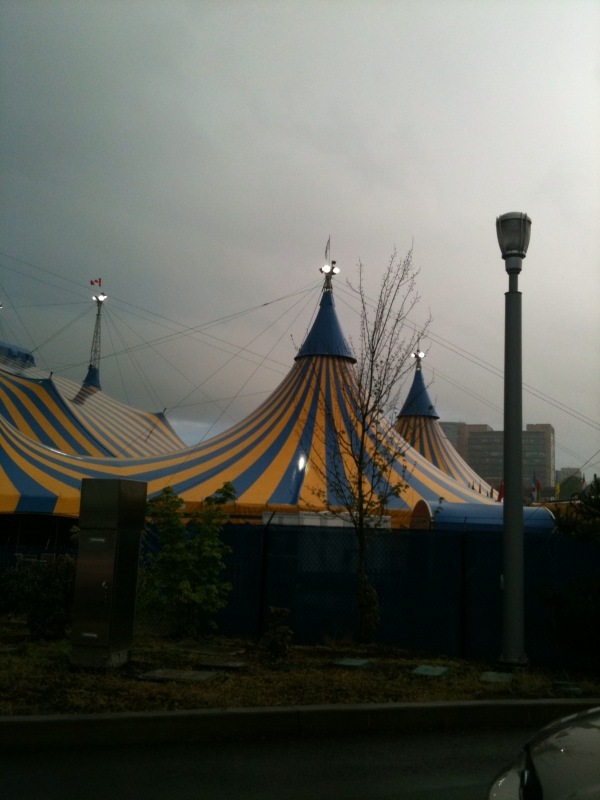 I’d never been to Cirque du Soleil. I actually didn’t really know much about it or what to expect. 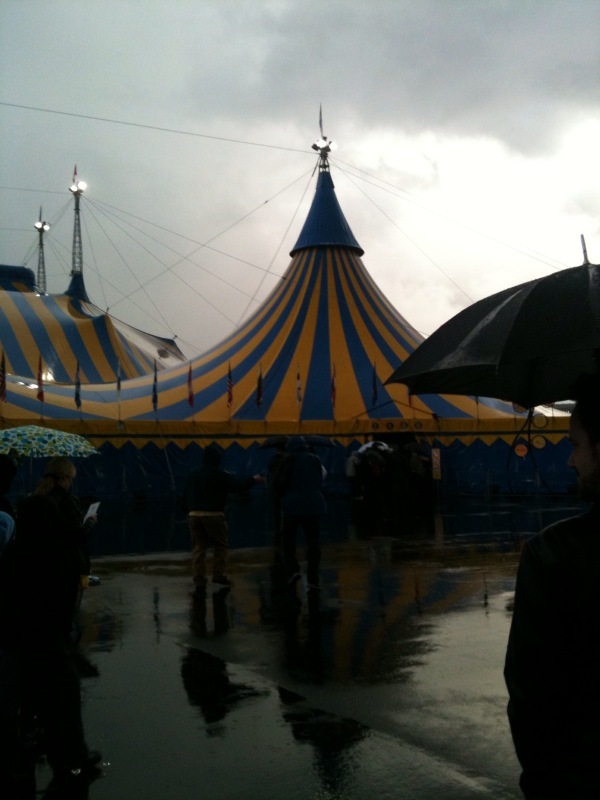 It was pouring rain all night too. 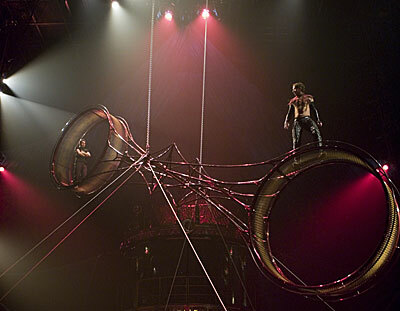 These guys were amazing! That was by far the best part. Wow!! 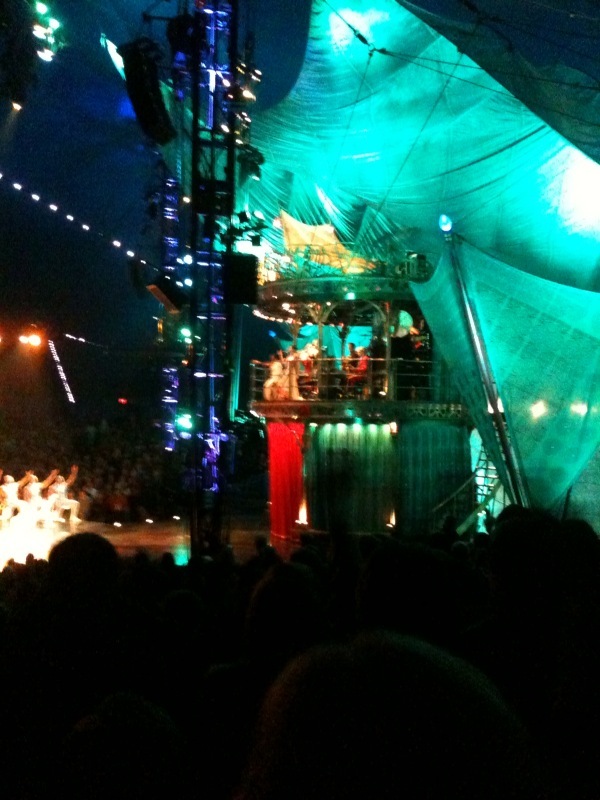 I haven’t been to a circus in so long.. the pictures you got look so awesome! 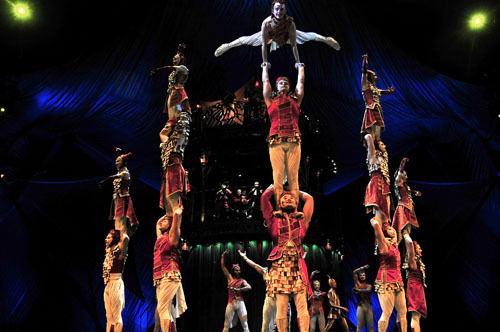 I haven’t been to Cirque du Soleil since I was a kid, but I remember how awesome it was. My kids saw love with their grandparents in Las Vegas and thought it was great.